Saddle Brook, NJ July 2, 2018 Unilux, the world's leading designer and manufacturer of stroboscopic inspection solutions, will unveil the new and improved LED12 inspection strobe at Labelexpo in booth 1475. The LED12, a powerful portable stroboscope for print inspection, has been reworked to incorporate the company’s latest advances in user controls. Popular features make it easier to instantly synchronize the strobe flash rate and fine-tune the target inspection area for crisp, clear images anywhere on the press. Stationary LED2000 Series Inspection Systems with Smart Assist will also be on display for the first time in North America. These new strobes feature user-friendly controls in English, German, Spanish, French and Simplified Chinese to accommodate global operations. Unilux will give a pocket-sized LED1 inspection strobe to one attendee who participates in a demonstration of the new technology. Visit http://strobe.unilux.com/labelexpo to learn more about powerful new inspection strobes or to share the LED1 giveaway opportunity with colleagues attending the event. Unilux, headquartered in Saddle Brook, NJ, has 53 years of experience in designing and manufacturing industrial inspection systems. 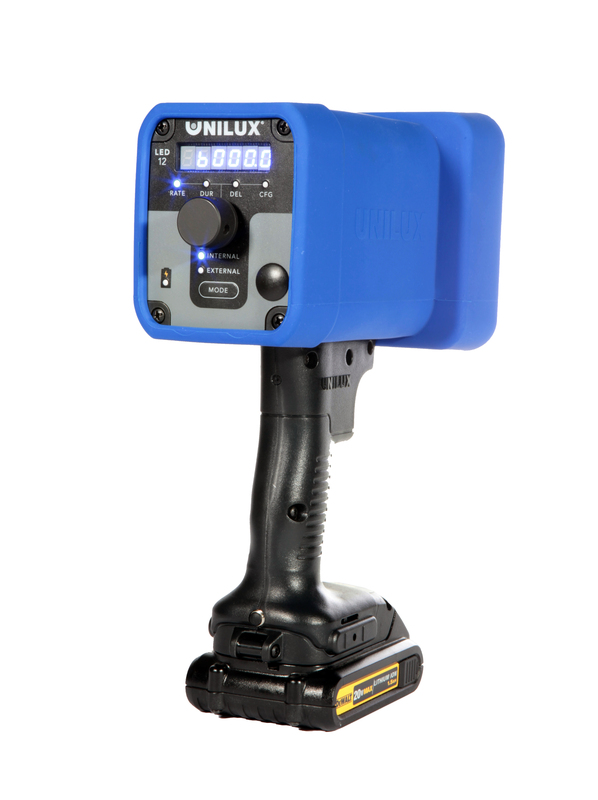 Unilux stroboscopic inspection systems range from handheld units for troubleshooting anywhere on the line to fixed-mounted units capable of inspecting surfaces up to 12m wide. Unilux products are well supported throughout the world, with sales representatives in 58 countries and five global service centers.